The following day we went to have a look at Bethsaida but found it was going to cost us a lot to get into the park. 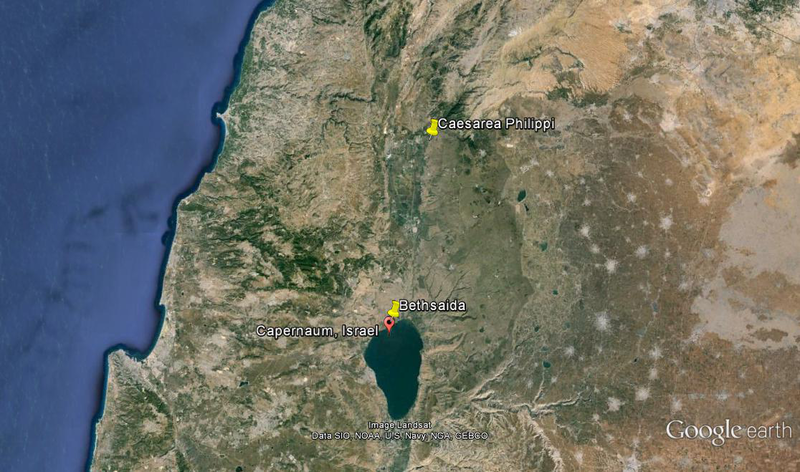 So, probably mistakenly, we moved on driving north some 60km to Caesarea Philippi (Panias or Banias). 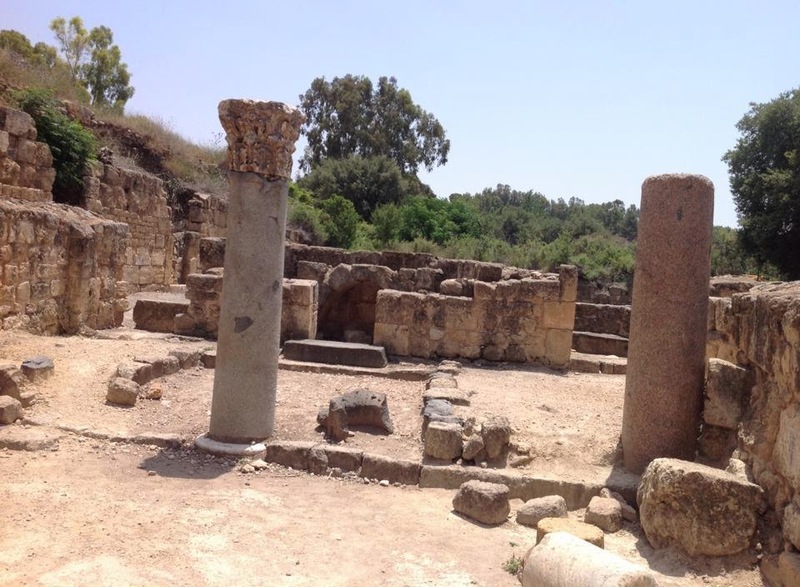 We can visit Bethsaida next time when the excavations are further completed. 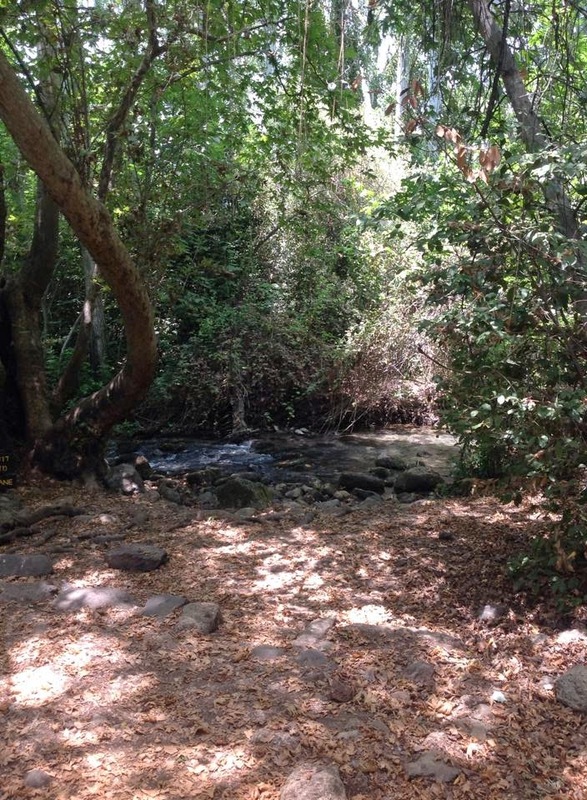 What was once Caesarea Philippi is now a big park. There is no reference to its importance in the Christian story anywhere in the park’s signage or literature. Yet, it is here that the climactic moment when Peter spoke up to say to Jesus, “you are the Christ” (Mark 8), occurs. Arguably, after Nazareth, Bethlehem, and Jerusalem, it is the most important place in the story because here they got who Jesus is. Of course, Jesus then had to teach them what it meant that he is Messiah; namely, not that he is a military Messiah here to overthrow the Gentiles, but that he is a Servant Messiah here to save the world through his sacrificial death. Somewhere in this lovely area, the disciples made their confession. Perhaps it was somewhere in the shade like the picture to the left. The first stand out highlight of the park one notes first are the beautiful springs. Sadly, you can’t swim there! And it was 40 degrees C! 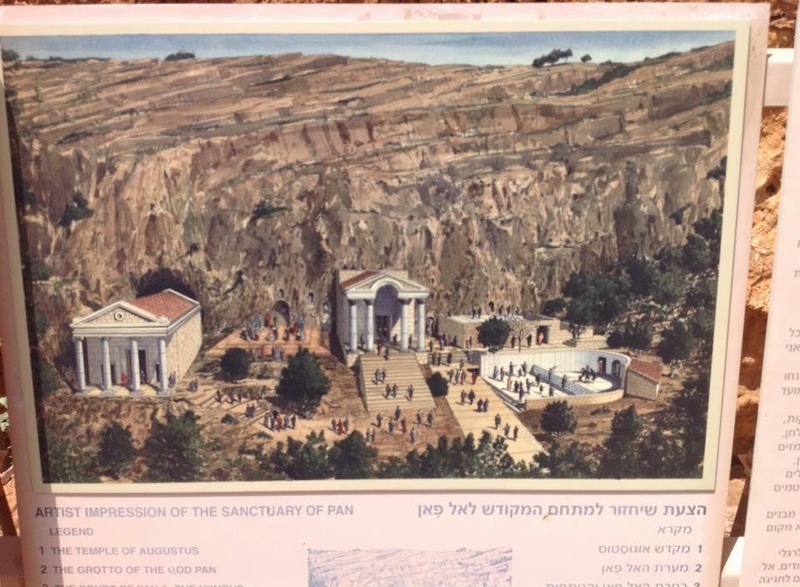 There are also an amazing string of temples that which may have stood at Jesus’ time including a temple to pan, Augustus, and Zeus among others. 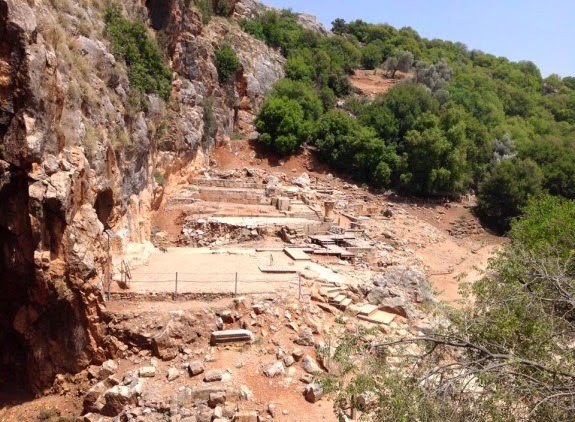 This shows that Caesarea Philippi was a very important religious centre in Jesus’ day – although strongly idolatrous! The artist’s impression to the right gives some idea of what it may have been like. It was also very important politically, a northern centre for the Romans. It was rebuilt by Philip, the son of Herod who was tetrarch of Galilee in the first part of the century. 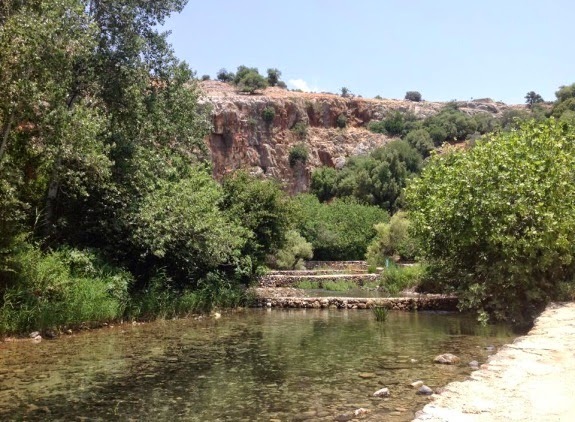 It was dedicated to Caesar, hence its name; Caesarea Philippi. They confess Jesus as Messiah in a city replete with political significance; surely, no coincidence. One thing that struck me is the distances involved. Jesus heals a blind man in Bethsaida, near Capernaum at the north end of the Sea of Galilee. They then travel the 60km north, along a lovely valley. A long walk (left). There is also a synagogue which was rebuilt by Herod Agrippa later in the first century. That said, if there was a synagogue there, Jesus must have preached there, as he preached through the synagogues of Galilee (Matt 4:23). It was also cool to look up at Mt Hermon above the city (see below), where Jesus no doubt was transfigured and met Elijah and Moses. This is surely one of the most significant moments in the Jesus' story. We thought about the drive, but it had been a long hot day (40+degrees) and the road looked rough. Hence, we chose not to do the drive (next time?). 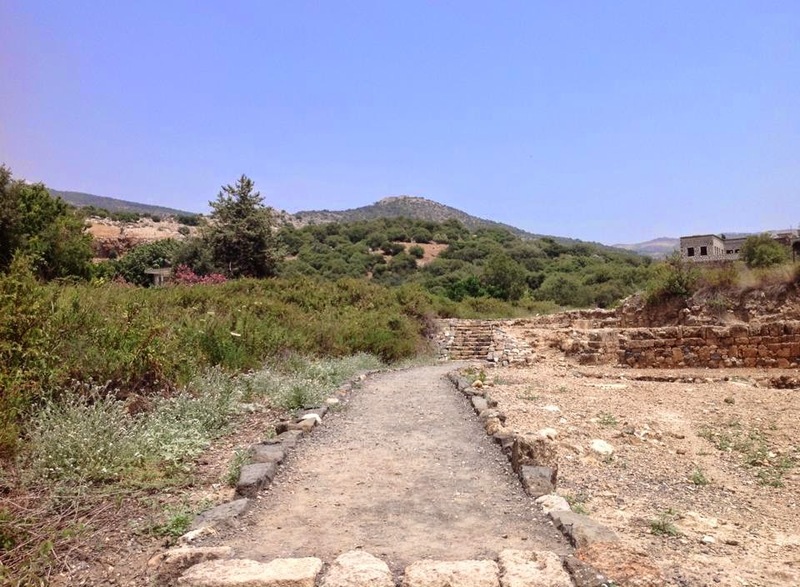 When you visit somewhere like Caesarea Philippi which has no church in it, you see the removal of the Christian story from Israel. Indeed, if it weren’t for the Catholic and Orthodox Church setting up holy sites and keeping the story alive, Jesus would be buried in Palestine (for me figuratively); first, under the ongoing story of the clash of Judaism, Islam, materialism, and secularism (all active gods in the nation); and, secondly, under the ongoing story of Israeli-Palestinian contention. I truly thank God for their ongoing work in keeping the story alive in a land full of political drama. Great photos. It's nice to have a reminder of many of the places we visited in 2011, and plenty that we didn't. Pity you didn't make it to Bethsaida. It really is worth it. And it would have been nice to see how much progress has been made in the last couple of years.